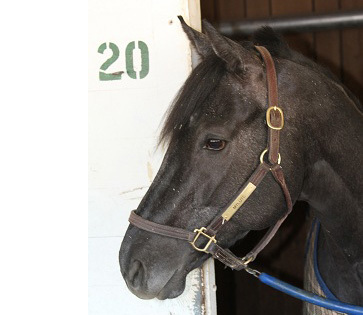 Mylute & Rosie Napravnik team up again for the Preakness Stakes on Saturday May 18, 2013. 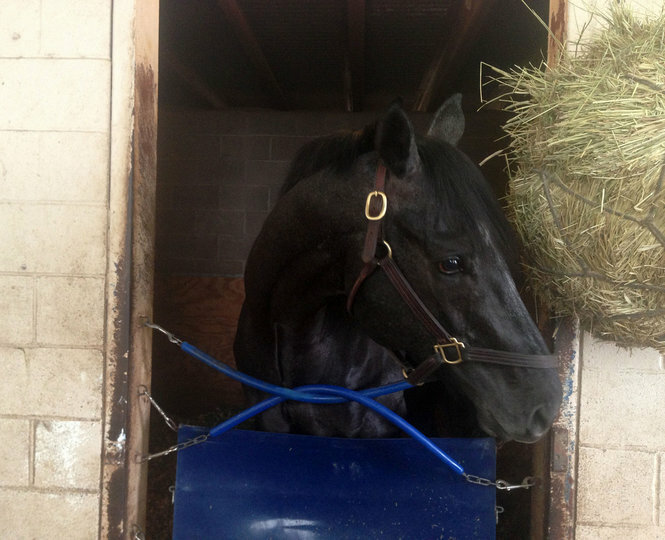 Mylute is on a plane heading to Baltimore, Maryland today (May 15th) to compete in the second jewel of the Triple Crown, the Preakness Stakes scheduled on Saturday May 18, 2013. 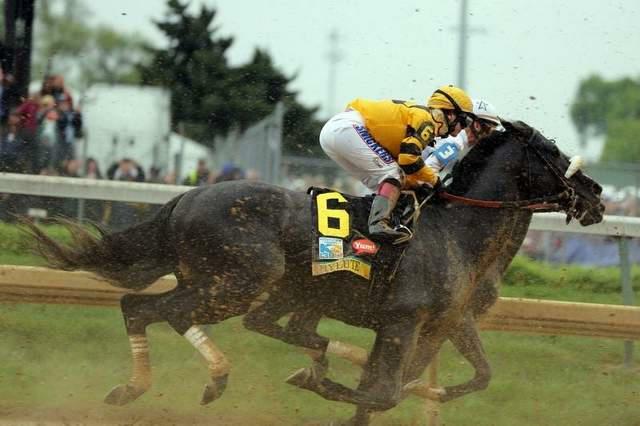 The 138th Preakness Stakes is a 1 3/16 mile dirt race for three-year-old thoroughbreds that takes place at Pimlico Race Course with a $1 Million purse. 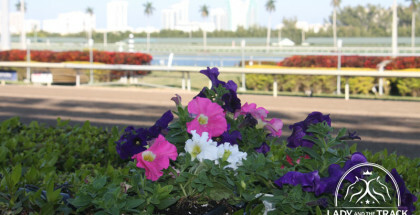 Mylute currently comes in with 5/1 odds for the “Run for The Black-Eyed Susans” and will break from post position #5. 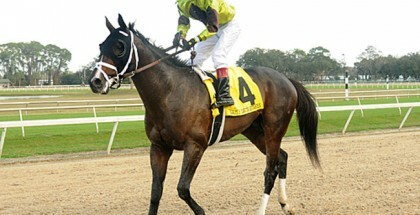 Mylute is trained by Tom Amoss and owned by Goldmark Farm and Whisper Hill Farm. 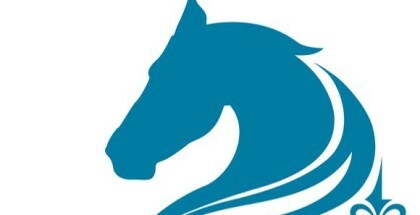 The decision to run Mylute in the Preakness Stakes was determined by Tom Amoss, Paul Buhlman (GoldMark Farm), and Mandy Pope (Whisper Hill Farm). 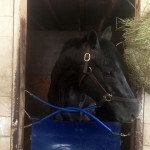 Mylute looks good, is eating well, and exercising great! The only concern is finding “four lengths” to catch up to Orb’s advantage. 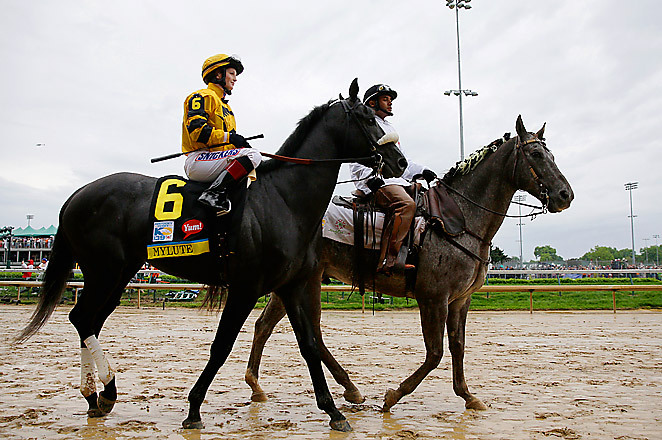 Team Mylute admitted Orb is a tough horse to beat in the 2013 Preakness Stakes. 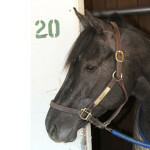 Lady and The Track would like to with Rosie Napravnik and Mylute the best of luck during the 2013 Preakness Stakes. Good Luck! Safe Run!